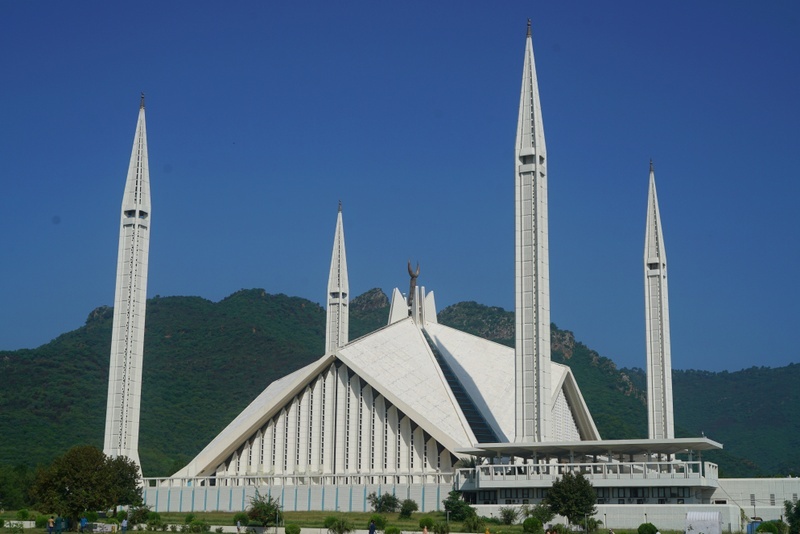 We had an early start and made a brief stop in Islamabad to visit the Faisal Mosque, the largest in the country. Featuring a contemporary design inspired by a Bedouin tent, it consists of eight sides of concrete shell and surrounded by four 79m-high minarets. The mosque can hold 100,000 with 100,000 more in the surrounding porticoes and courtyard. 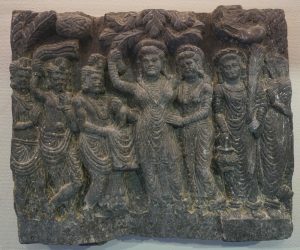 Situated along the Kabul and Swat rivers of Afghanistan and Pakistan, Gandhara is one of the 16 Mahajanadpada of ancient India. Existed since the time of the Rigveda (c. 1500-1200 BC), it was conquered by the Achaemenid Empire in the 6th century BC and Alexander the Great in 327 BC, became part of the Maurya Empire (c.305-180 BC) and later under the control of kingdoms of the Indo-Greeks, Indo-Scythians and Indo-Parthian (c.185 BC to 75 AD). 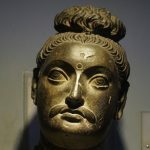 Gandhara attained its height from the 1st to 5th centuries under the Kushan Empire and thrived until 8th or 9th century. 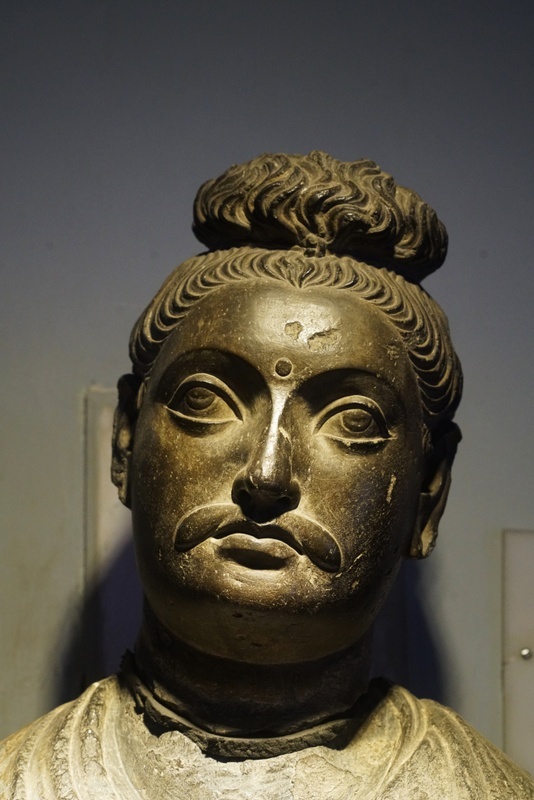 The name Gandhara disappeared when it was conquered by Mahmud of Ghazni in 1001 AD. 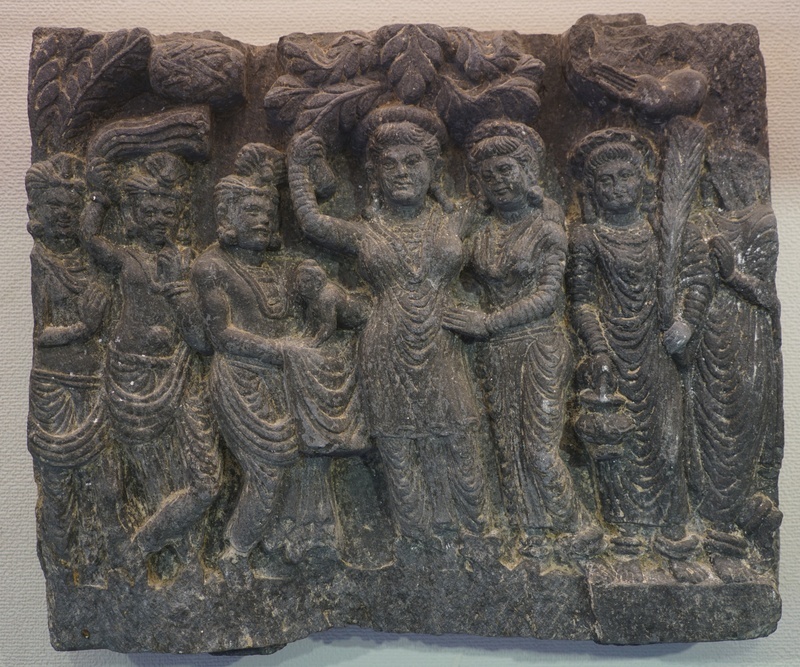 The region was a major centre for Greco-Buddhism under the Indo-Greeks and Gandharan Buddhism under later dynasties. 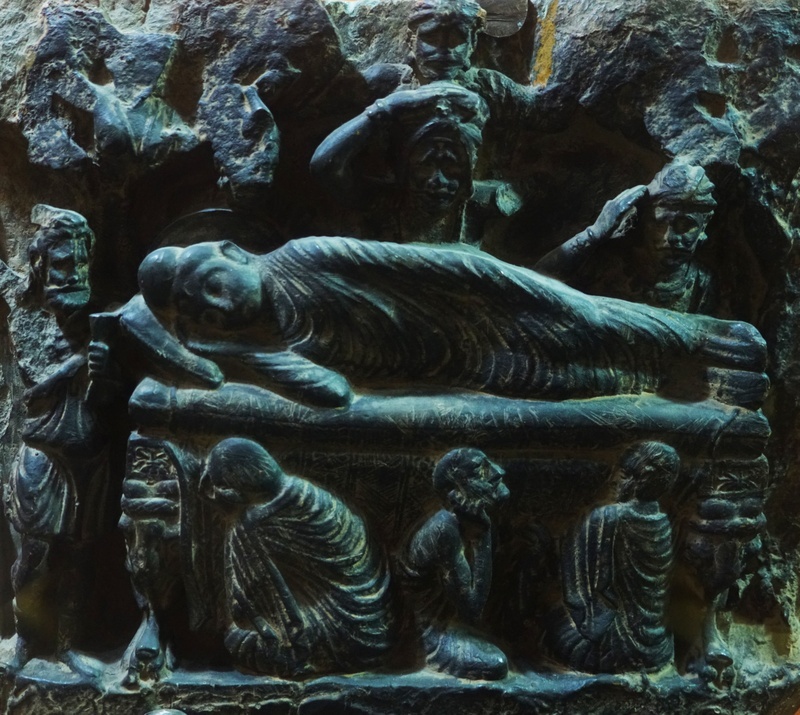 It was a central location for the spread of Buddhism to Central and East Asia. 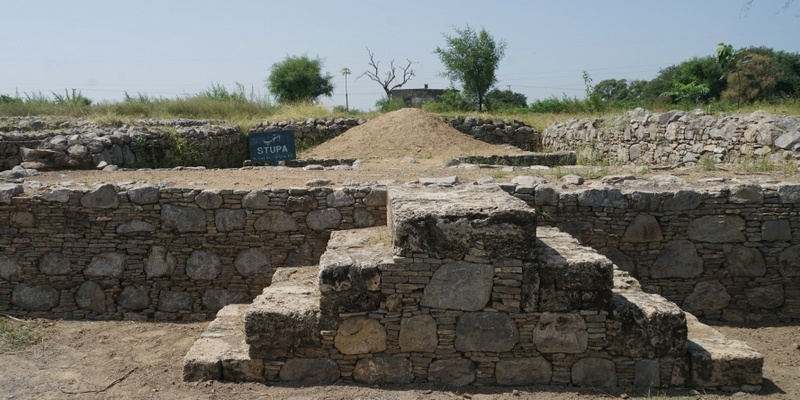 Next, we made our way to Taxila, meaning “City of Cut Stone” which is located about 32 km north-west of Islamabad off the Grand Trunk Road. 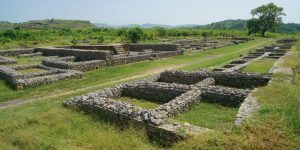 Situated at the pivotal junction of the Indian Subcontinent and Central Asia, Taxila has a history of over 3,000 years with many rulers. It sank into insignificance and was finally destroyed by the nomadic Hunas in the 5th century. It was rediscovered by Sir Alexander Cunningham in the mid-19th century. 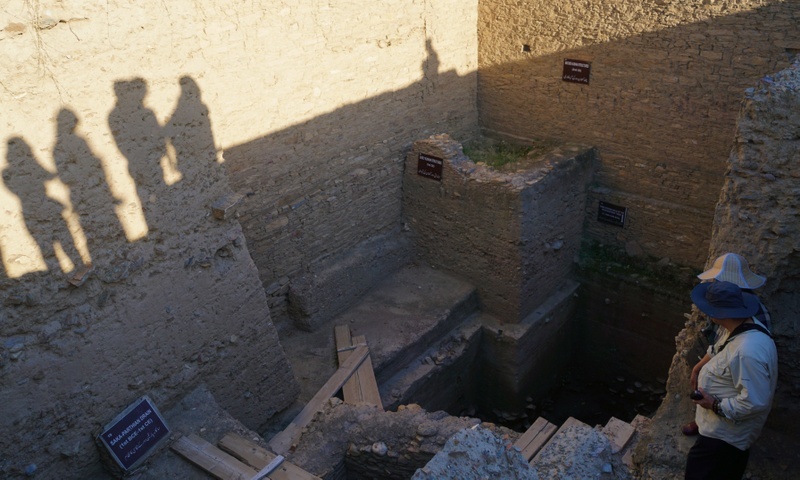 Excavation of the old city began under the supervision of Sir John Marshall beginning in 1912. Taxila is most famous for ruins of several settlements each belonging to a distinct period at three different sites. 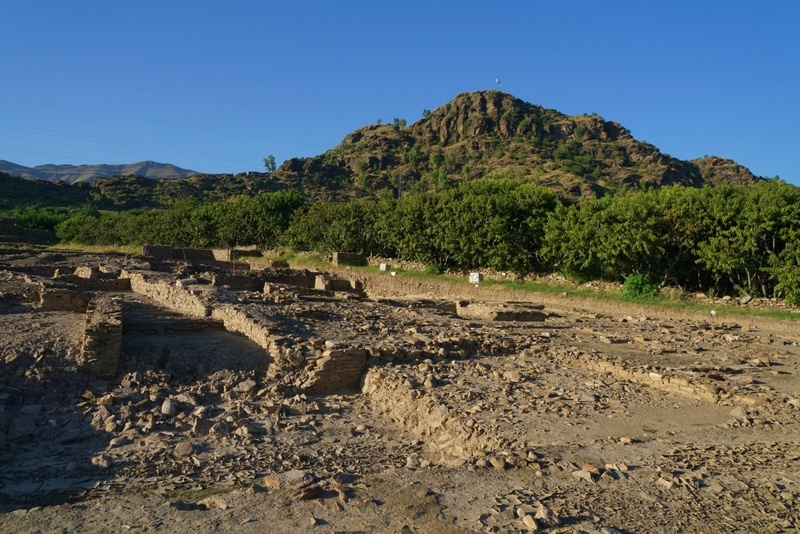 The earliest settlement is found in the Hanthial section with artifacts as early as 2nd millennium BC. The Bhir Mound ruin adjacent to Hanthial dates from 6th century BCE. 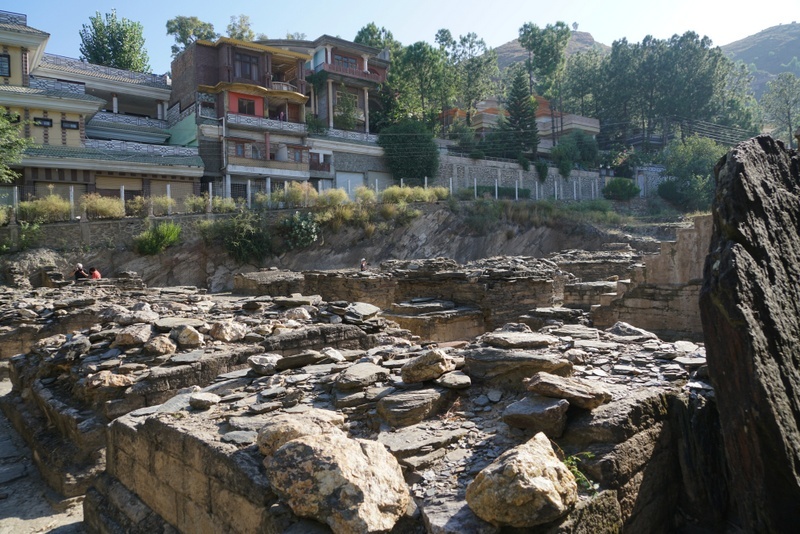 Sirkap (a fortified city) dating to the 2nd BC, were built by the Greco-Bactrian kings who ruled the region following Alexander the Great’s invasion of the region in 326 BC. 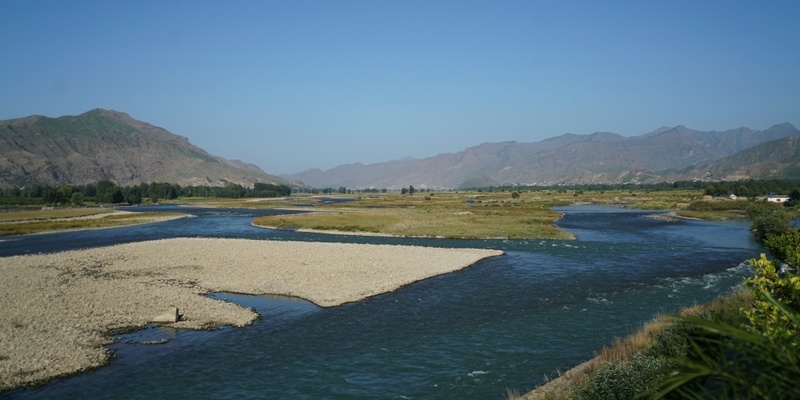 The third settlement is that of Sirsukh built by rulers of the Kushan empire. 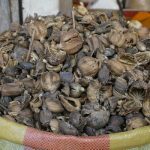 It is also well-known for its collection of Buddhist religious monuments including Dharmarajika stupa and monastery, the Jaulian monastery and the Mohra Murada monastery. 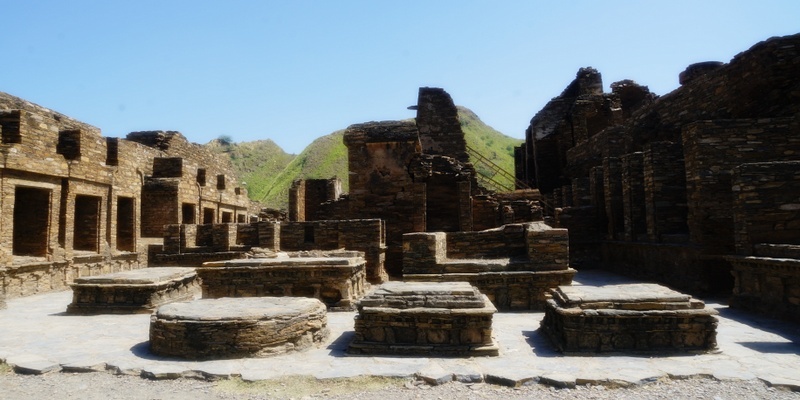 As a result, the four settlements at Bhir, Saraikala, Sirkap and Sirsukh and 18 monuments and historic places including some Buddhist religious monuments, ruins of Taxila have been inscribed on the World Heritage List. Our first stop was the Dharmarika stupa and monastery, believed to have been established in the 2nd century AD over an earlier stupa. It is the earliest and largest Buddhist religious complex built to enshrined redistributed holy relics of Buddha by the Mauryan king Asoka. Bone relics have been discovered at the site. The Dharmarika stupa was devastated by the White Huns in the 5th century AD. 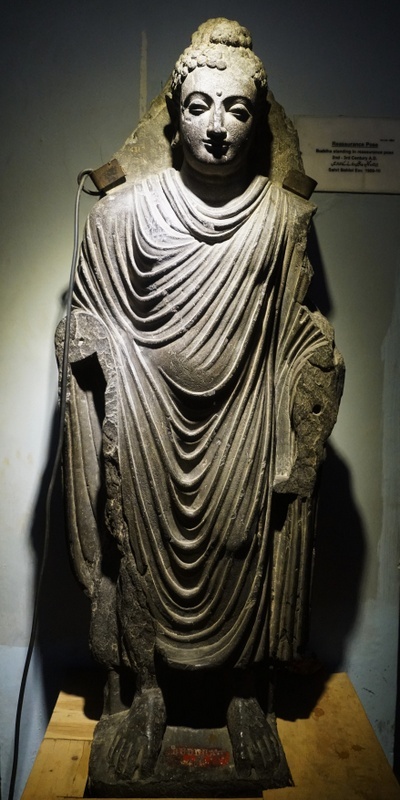 During the reign of the Hun king Mihirakula (502-530 AD), over 1,000 Buddhist monasteries throughout Gandhara are said to have been destroyed. Surrounding the main mound is a passageway for pradakshina (the ancient practice of walking around a holy site). The stupa’s large anda, or hemispherical mound, is damaged. But the plinth of the mound is largely intact. The stupa likely had four gates in axial directions. I walked respectively around the passageway. 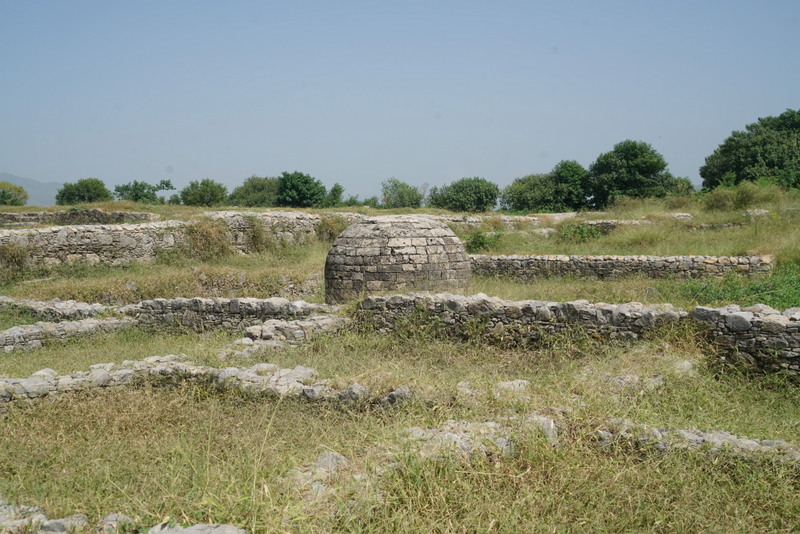 The stupa is surrounded by numerous smaller stupas, some of which predate the main stupa. Several monasteries had been built near the main stupa. They are not large and might have at the most a few hundred monks. 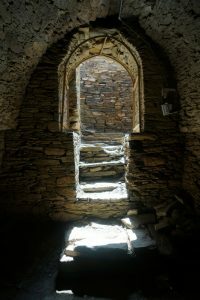 I spent some time in one of the ruins soaking in the atmosphere. Our next stop was Sirkip (about 1 km away). Built by Greco-Bactrian king Demetrius after his invasion of ancient India around 180 BC, the city was developed according to the “hippodamian” grid-plan characteristic of Greek cities with one main avenue and 15 perpendicular streets. It covered an area of around 1,200m by 400 m with a surrounding wall 5-7 m wide and 4.8km long. The Indo-Greek kingdom lasted till around 10 BC. The city was further rebuilt by the Indo-Scythians and later by the Indo-Parthians after an earthquake in 30 AD. The next ruler – the Kushan king abandoned the city and built a new city at Sirsukh. We strolled along the main avenue. Karim pointed out the sun-dial clock and ruins of several religious establishments that show the integration of various faiths in the city. They include a Jain temple, a Hindu temple and several Buddhist monuments. 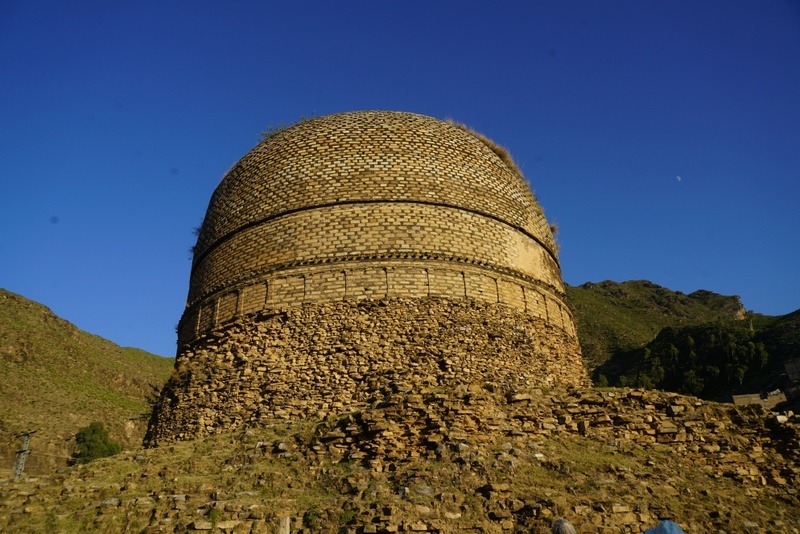 The Round Stupa considered to be one of the oldest stupas in the Indian Subcontinent which is believed to have been uprooted and thrown to its present location by a strong earthquake in the 1st century AD. 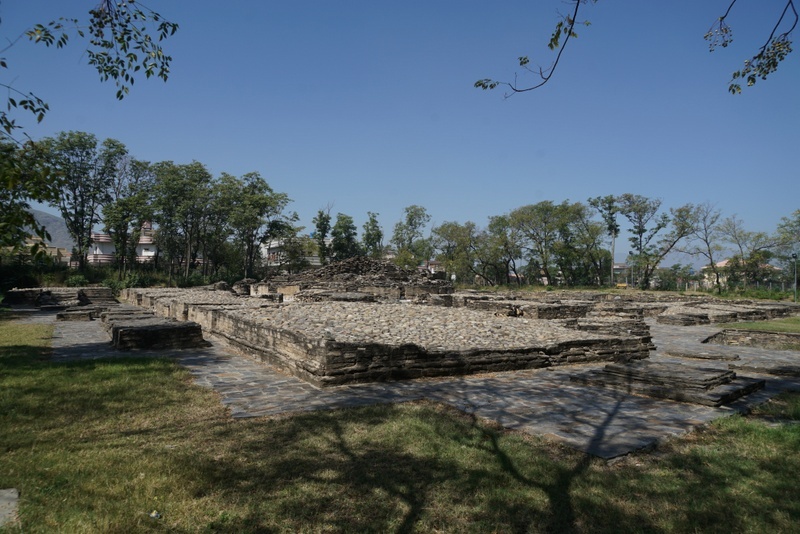 The Apsidal Temple is the largest sanctuary of the city measuring about 70 by 40m. 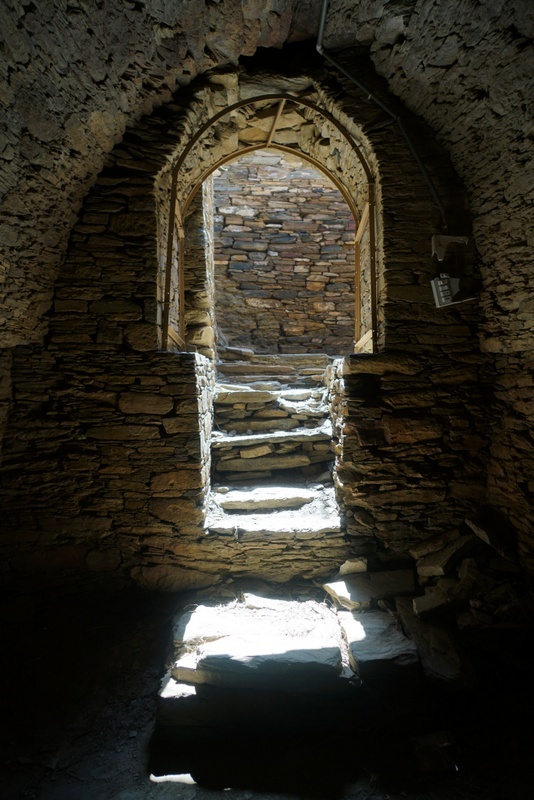 It consists of a square nave with several rooms and a circular room. After the earthquake, a shrine was built was built in the courtyard. We finished our morning programme before 1 pm. After a nice lunch, we were back on M1 heading to Peshawar, capital of the province of Khyber Pakhtunkhwa. 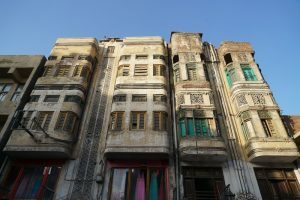 Situated in the Valley of Peshawar and close to the border with Afghanistan, Peshawar has a recorded history dating back to at least 539 BC. It was the capital of the ancient Kushan Empire and was sacked by the White Huns. 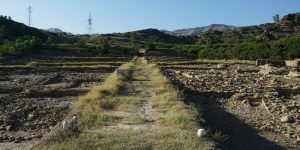 It was an important trading centre during the Mughal era and became the winter capital of the Afghan Durrani Empire from 1757 to 1818. It later came under the Sikhs and finally the British. Today, it has a population of about 2 million. 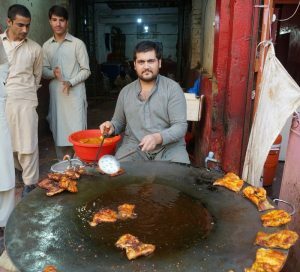 Peshawar owing to its proximity to Afghanistan has been the primary destination for large numbers of Afghan refugees since 1980s. 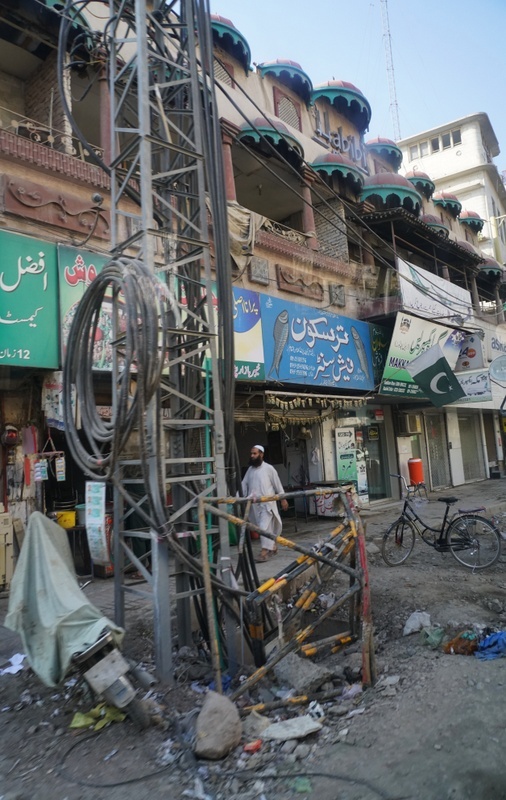 The arrival of several millions of refugees has strained Peshawar’s infrastructure. 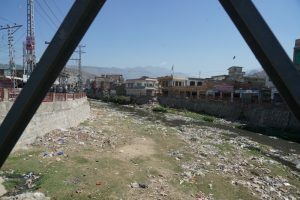 The city has also been badly affected by violence from the attacks of the extremist Taliban. I feel sad for Peshawar which has suffered so much since 1980s. Poverty is visible; roads and many buildings are in bad conditions. But the place looks relatively orderly and lively: there are plenty of shops that are filled with goods. The people look busy and seem to get on with their own lives. It was after 4:30 pm when we arrived in the city centre. It was too late to visit the Peshawar Museum. 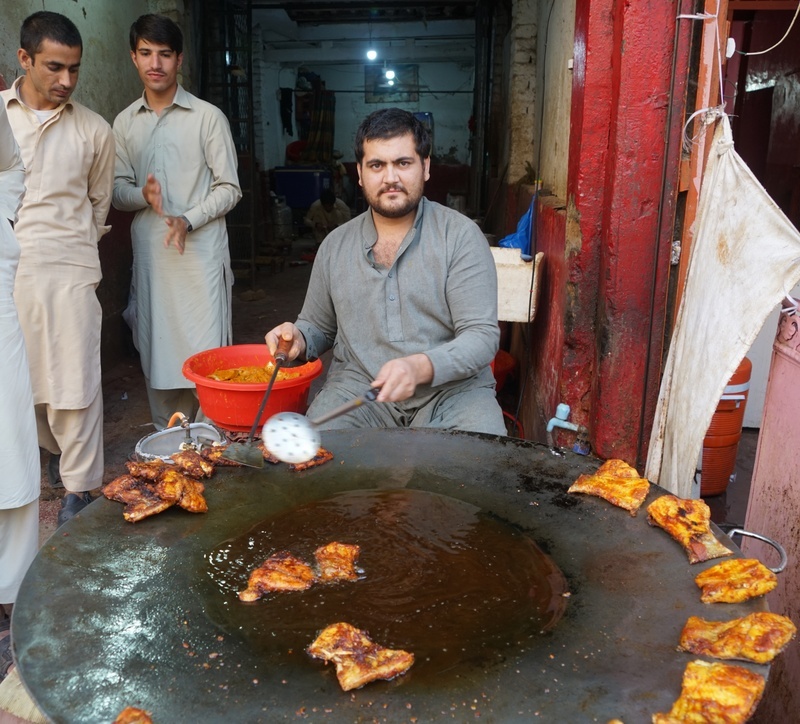 Hence, we went to the Kisa Khawani Bazar instead. 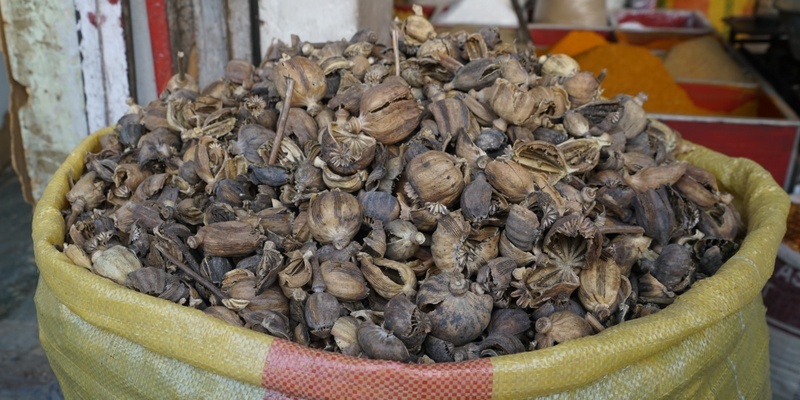 We had a good time meeting locals and looking at food and vegetables in the shops/stalls. 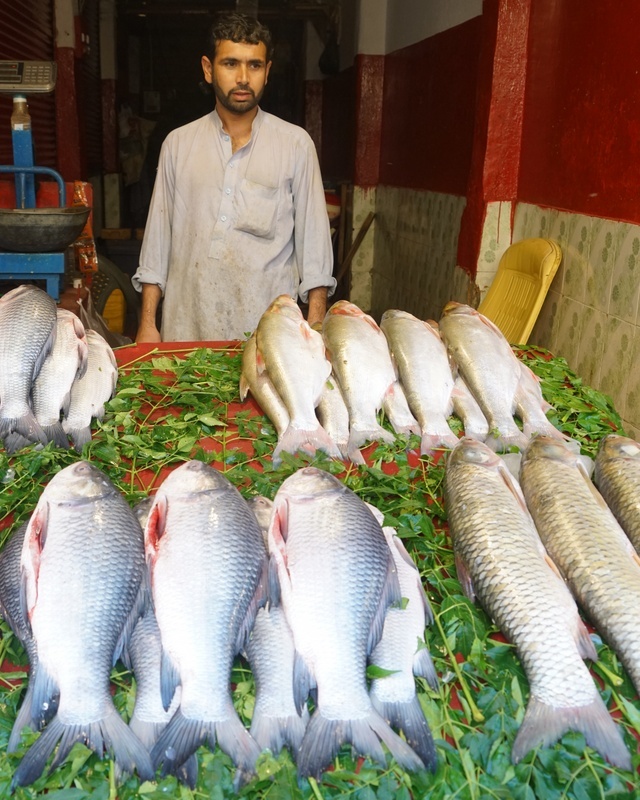 I was surprised to find a lot of fresh fish in the market. 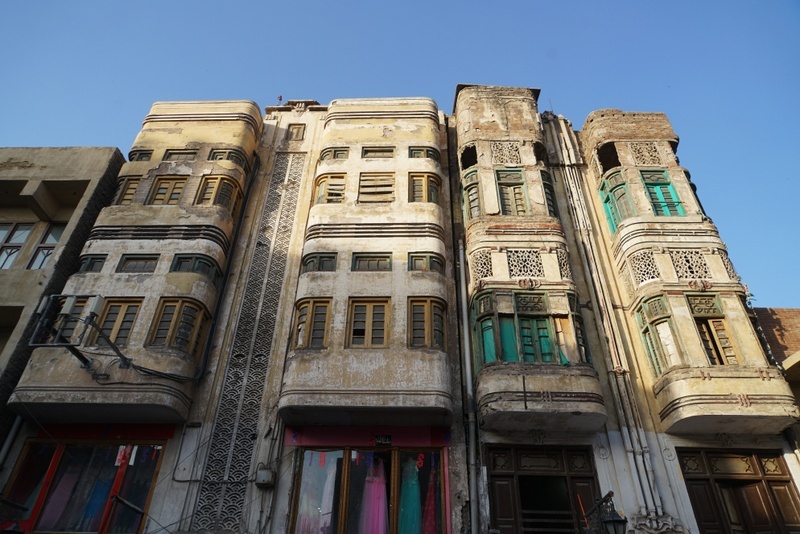 Many dilapidated buildings are under renovation. Life might not be easy. But the locals are friendly and welcoming. On the way to the PC Hotel, I could feel the strong presence of the military at numerous road blocks. We passed the imposing Bala Hissar, a fort standing on a high mound that was used as a royal residence for the Durrani Empire. 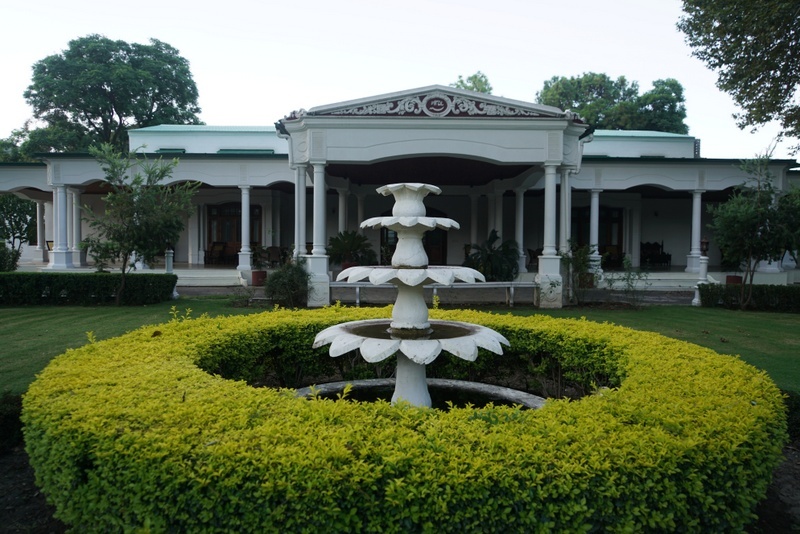 It now serves as headquarters for Pakistan’s Frontier Corps and no photo is allowed. Though our hotel faces the fortress, it is difficult to take a good photo.We had a sumptuous BBQ buffet dinner on the roof top. I overate and could not sleep well. 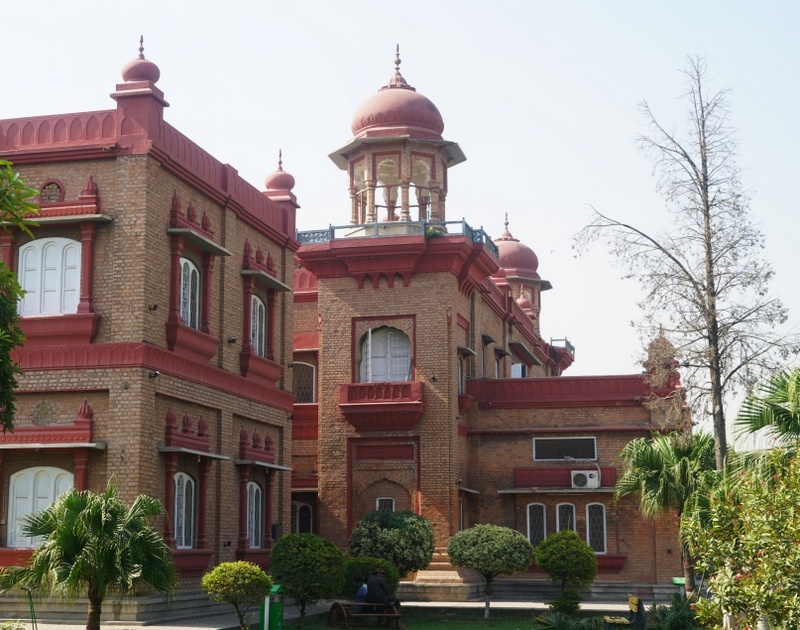 The Peshawar Museum founded in 1907, has almost 14,000 items based on Gandhara, Greco-Buddhist, Kushan, Parthian and Indo-Scythian life. 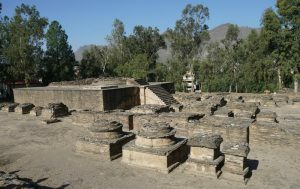 It boasts one of the largest and most extensive collections of Gandhara art of the Buddhist period and the largest collection on Gautama Buddha. It also has collections of coins, wooden facades of mosques, ancient inscriptions, tiles and ceramics, dresses and weapons etc. The museum is housed in a two-story historic building built in a syncretic architectural style consisting of British, Hindu, Buddhist and Mughal Islamic styles. We spent an hour and a half in the museum. 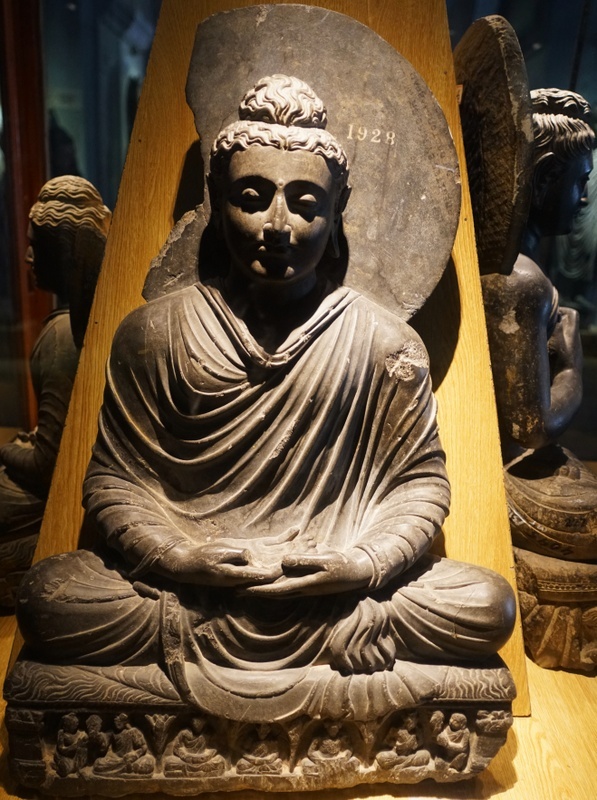 I find the display of Gandhara art in the main hall including Buddha’s life stories, miracles, worship of symbols, relic caskets and individual standing Buddha sculptures, most impressive. Unlike the Lahore Museum, the exhibits are well-presented with information. 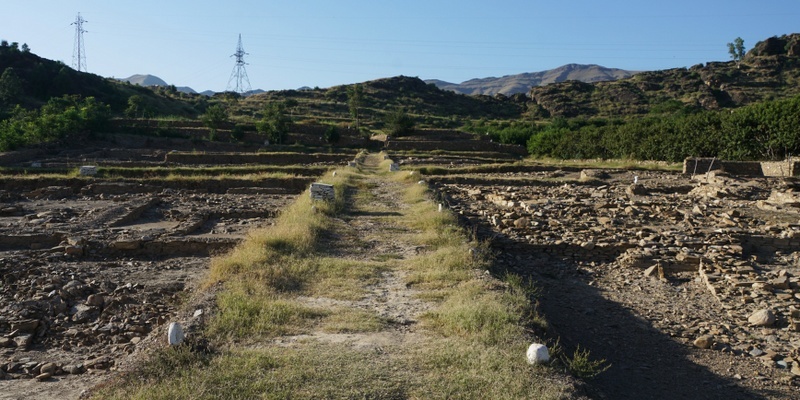 Our next stop was the Takht-e-Bai, an Indo-Parthian archaeological site which has been inscribed on the World Heritage List. Located about 150m atop a small hill near Mardan, Takht-e-Bai was likely founded in the 1st century AD and in use until the 7th century AD. 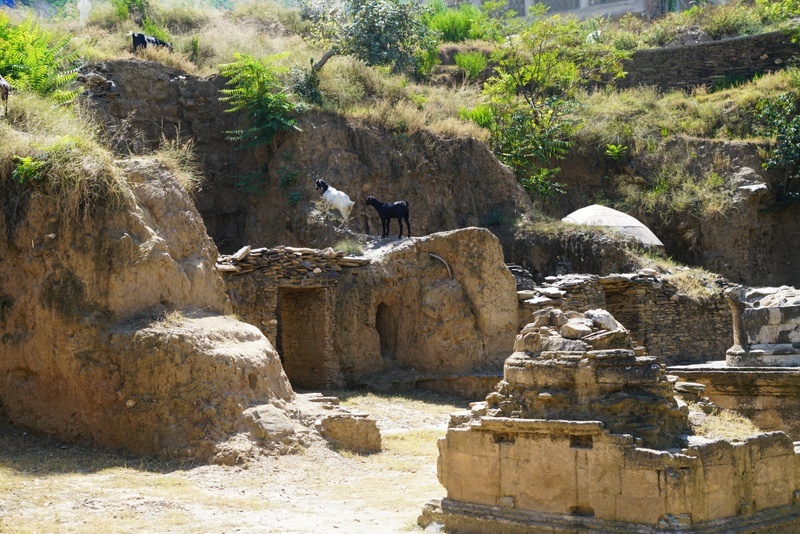 The complex is considered one of the most imposing relics of Buddhism in Gandhara and most representative of the architecture of Buddhist monastic centres from its era. 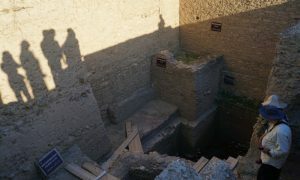 There are four main areas in the well-preserved complex. The Stupa Court with a cluster of stupas located in the central courtyard (3rd – 4th centuries). Accompanied by Saaz, I hiked to the top of the hill for a panoramic view of the complex and the surrounding area. After lunch, we continued and descended into the famous Swat Valley after the Malakand Pass. 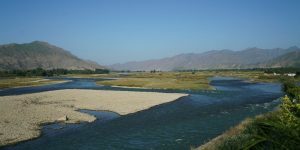 Centred upon the upper portions of the Swat River with an average elevation of 980m, Swat which was known for its natural beauty and has a rich history dating back over 2,000 years. 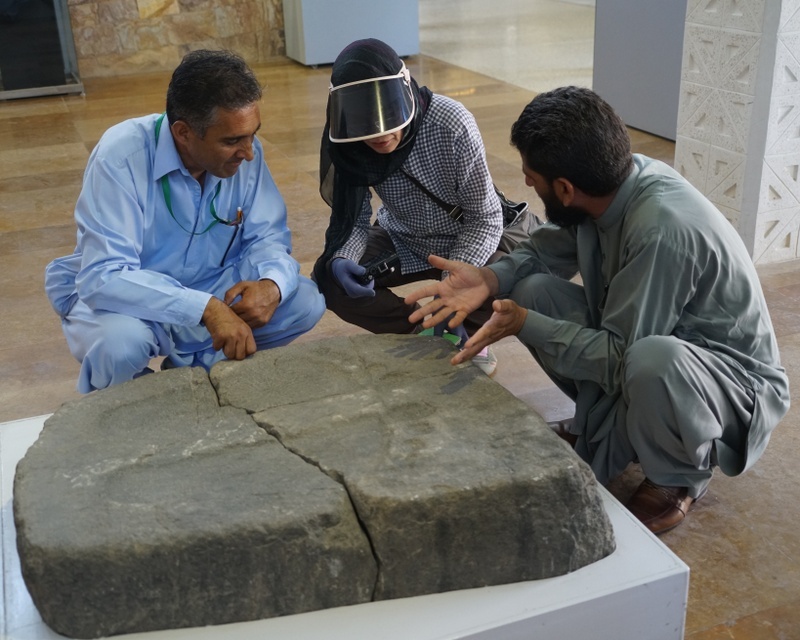 It had been under Achaemenid influence and captured by Alexander in 327 BC. 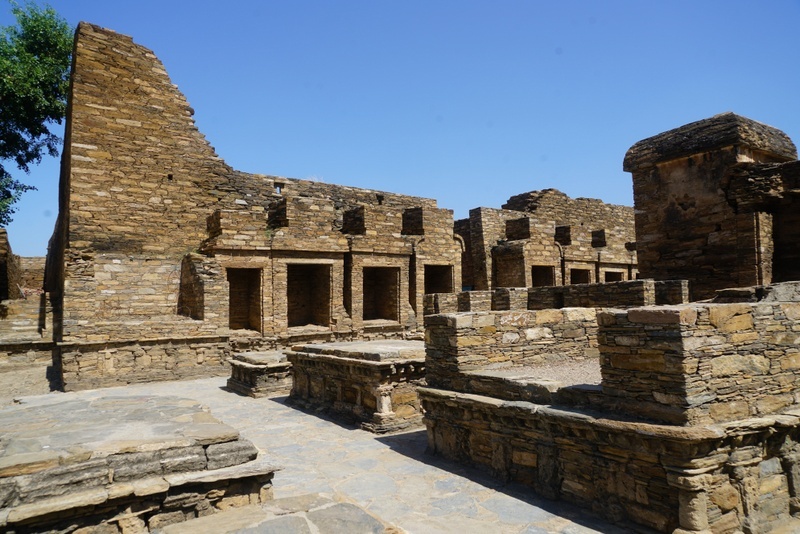 By 305 BC, it became part of the Mauryan Empire and a major centre of early Buddhist thought. 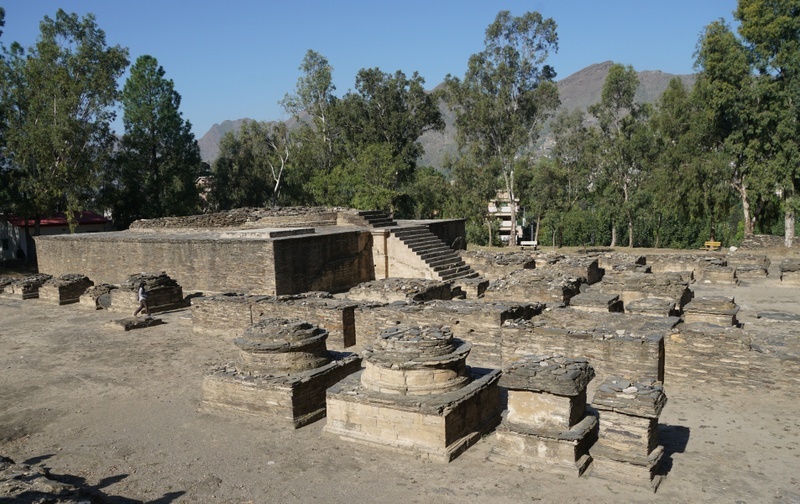 The Kushan dynasty later absorbed Swat and this was time when the Gandhara civilisation flourished. Around the 5th century, the White Huns overthrew the Kushans and Buddhism began to decline. 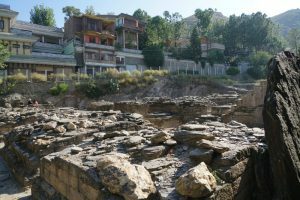 From the 8th century onwards, Swat gradually came under the Islamic influence with only isolated pockets of Gandharan Buddhism lasting till the 11th century. 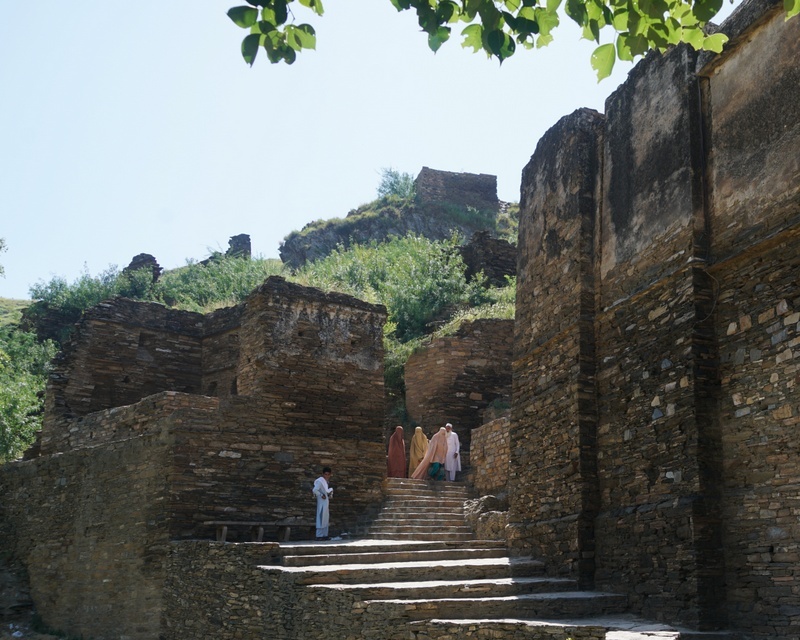 The Muslim era in Swat began with the Mahmud of Ghazni from Afghanistan who conquered Swat in 1001 AD. Until 1969 Swat was part of the Yusafzai State of Swat, a self-governing princely state in Pakistan. 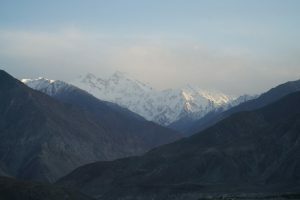 The region was seized by the Pakistani Taliban in late 2007 and the Pakistani government took back control in mid-2009. 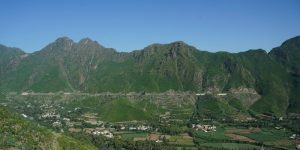 Swat is thought to be the probable birthplace of Vajrayana Buddhism. It is said that it was once filled with 1,400 imposing and beautiful stupas and monasteries which housed as many as 6,000 gold images of the Buddhist pantheon for worship and education. 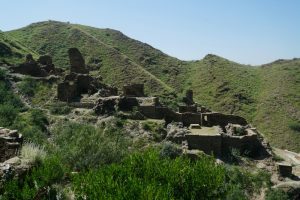 There were more than 400 Buddhist sites covering an area of 160 km in the valley before the rise of the Taliban’s rise to power. These historical heritages have been systemically targeted by the Taliban and a significant number has been destroyed. 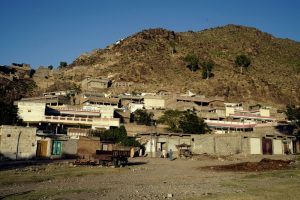 Swat has a population of 2.3 million (2017 census) and its capital is Saidu Sharif while Mingora is the main commercial centre and the largest city. 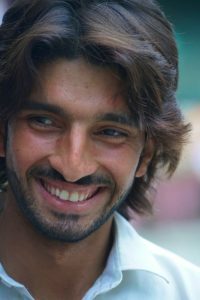 The region is inhabited largely by Pashtun people while the high parts are dominated by Kohistani (the mountain people). The presence of terrorists in Swat has scared international tourists. Hence, tour groups can be escorted by police when travelling in Swat. I note ribbon development along the river (N-95). Parts of the road are unpaved and dusty. There are too many vehicles, too much developments and shops. I find no natural beauty in what I have seen along the road. 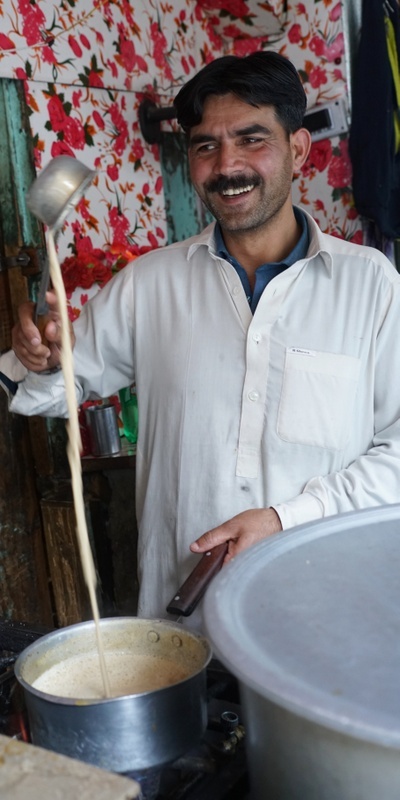 Our first stop in Swat is Barikot located in the south end of the valley. 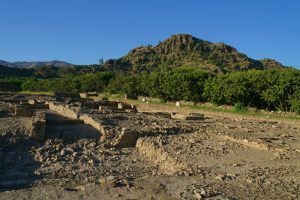 Barikot is the ancient Bazira of Alexander the Great formed around the time of King Menander I in the 2nd century BC. Strategically located, it guards the entrance to the valley. 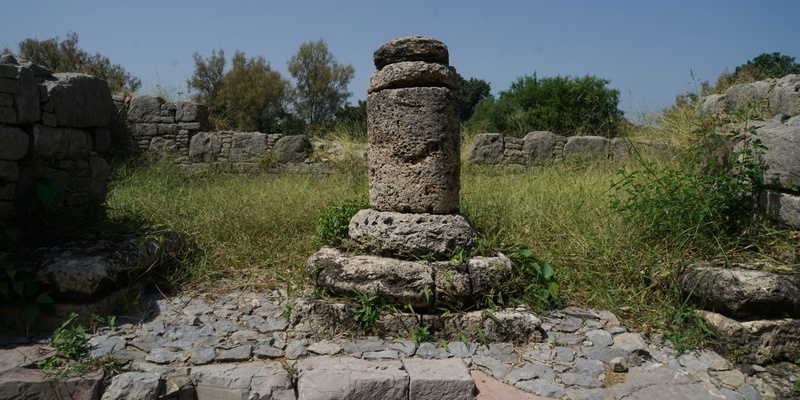 The Italian Archaeological Mission has been excavating ruins of the ancient town since 1984. Several layers of settlements have been discovered and the oldest layer under Barikot was a village that has been dated to 1000-1100 BC. The Indo-Greek town covering an area of about 12 ha, was surrounded by a defensive wall with massive rectangular bastions. 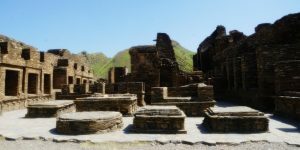 Barikot was one of the finest Buddhist sites in the Swat Valley. 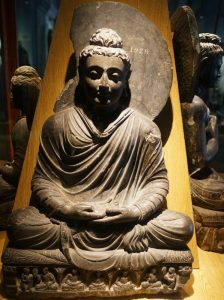 Several artifacts including a large green-schist statue of Siddhartha Buddha riding his horse Kanthaka and a carving of a stupa with two lions, document the Buddhist history of Bazira. 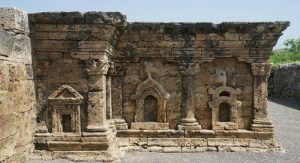 The city was probably devastated by a series of earthquakes in the 3rd century AD and abandoned by the Kushans by the end of the 3rd century. 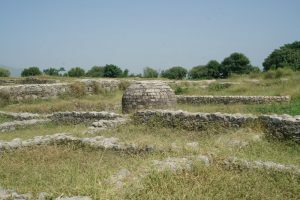 We drove a short distance to see the Shangardar stupa built by King Uttara Sena on the spot where a white elephant had carried the king to the site, dropped dead and turned into a rock. 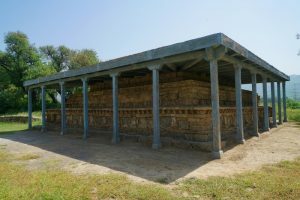 The King erected a stupa on the site. We were greeted by children from the village. Some have golden hair and blue and green eyes: they are most beautiful. The sun was setting. 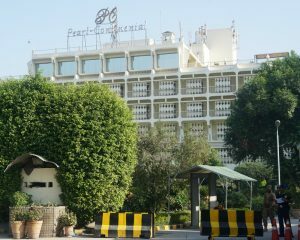 It was dark by the time we checked in the famous and historic Serena Hotel. Queen Elisabeth II and Prince Philip stayed in the hotel during their visit to the Swat Valley in 1972. It was a beautiful morning. I felt great and had breakfast at the veranda. What a luxury! 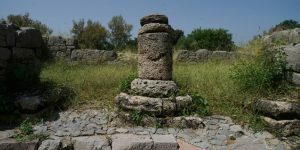 The excavations were initiated by the Italian Archaeological Mission in 1963 and ended in 1982. Many houses have been built near the site. I hope the site will remain intact without further encroachment of residential developments. 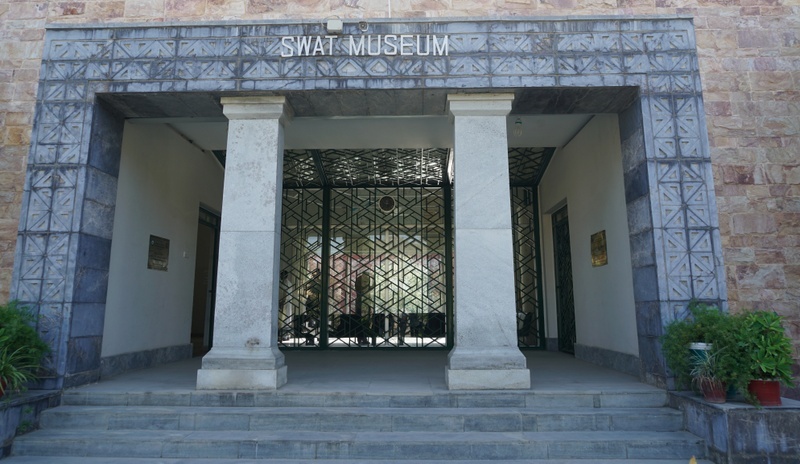 Next, we went to the SWAT Museum where we were met by an enthusiastic archaeologist who explained the history of Buddhism development in Swat. Buddhism started to decline after invasion of White Huns in the 5th century and later the arrival of Islam in the 8th century. We met two young Italians working for the mission. 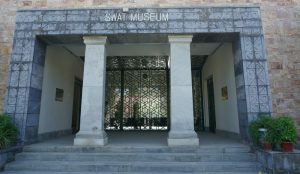 Thanks to the dedication of the mission, a lot of the relics in Swat have been saved. The museum housed in a purpose-built new building, is a delight to visit. From the illustrations, I had a useful recap of the history and the ruins I have seen in Swat. 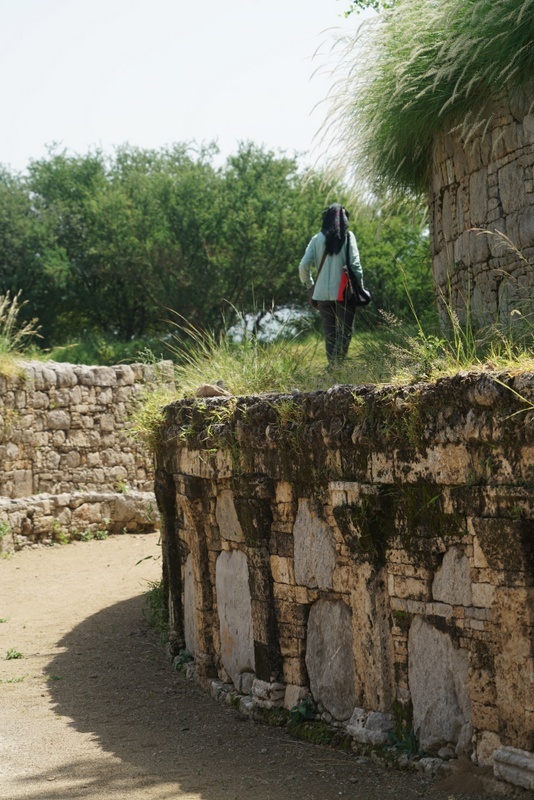 After the museum, we visited the two more Buddhist ruins namely Butkara I with a stupa and Butkara III with a couple of stupas cut into a hill side. At the last site, we met a few beautiful Kohistani kids with green and blue eyes and golden hair. When driving through the town centre of Mingora which is dirty. We were horrified to see the river covered with litters and plastic bottles. What a shame! Today, we had fried trout in a restaurant by the Swat River. The fish was tasty and delicious. I wish we could have fresh fish more often. After lunch, we began a long drive. I must be very tired and dozed off. 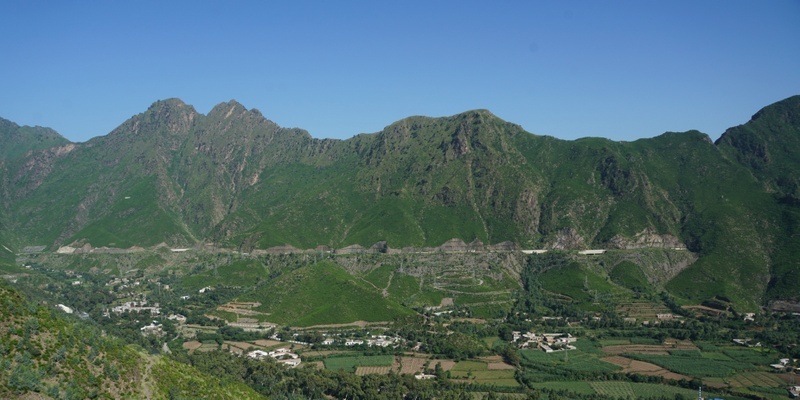 By the time I woke up, we were approaching the Shangla Pass which offers a fantastic view of the Valley. After the pass, we stopped in a local tea house for tea. We were warmly greeted by some locals who look totally European. After a while, we headed east turning into N-90 heading to Besham. Cha Cha drove cautiously along the winding road in poor condition. He drove slowly for almost three hours till we arrived in Besham for the night. 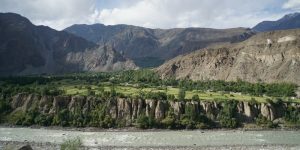 The landscape and scenery are stunning with rugged mountain ranges, deep ravines and gorges, fast flowing rivers and scattered houses perching high on the mountains. This is my first scenic ride in Pakistan and a great introduction to the topography and landscape of northern highlands which I would be travelling through for the next six days. It was after 6:30 pm when we arrived at the Besham Guest House which offers basic rooms. The bed sheet did not look clean. But it did not bother me as I had brought my own sleeping-bag liner. Poor Brenda who has sensitive skin and allergic to insect bites, was badly beaten. She had a dozen of bad bites in her arms, legs and body which would trouble her for weeks and months. 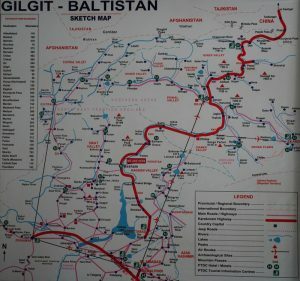 KKH also known as the China-Pakistan Friendship Highway, is highway extending from Hasan Abdal in the Punjab province to the Khunjerab Pass in Gilgit-Baltistan (National Highway 35 / N-35) where it crosses into China and becomes China National highway 314 ending in Kashgar, Xinjiang. The total length of the KKH is approximately 1300km, with 887 km in Pakistan and 413 in China. 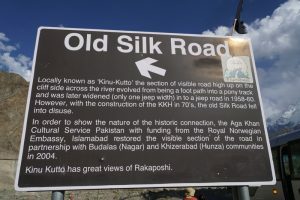 Constructed between 1959 and 1979, it is one of the highest paved roads in the world passing through the Karakoram mountain range at maximum elevation of 4,714m near the Khunjerab Pass. 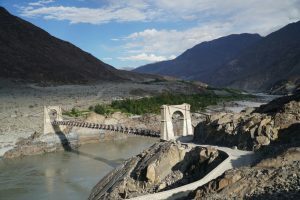 It cuts through the collision zone between the Eurasian and Indian plates, where Afghanistan, China, Pakistan and Tajikistan and come within 250 km of each other. KKH has strategic and military importance to China and Pakistan. About 810 Pakistanis and 200 Chinese workers had lost their lives during construction. In 2006, the two countries signed a memorandum of understanding to upgrade and widen the road from 10 to 30m. Plans are also on the drawing board to link KKH to the southern port of Gwadar in Balochistan through the Chinese-aided Gwadar – Dalbandin railway which extends to Rawalpindi. 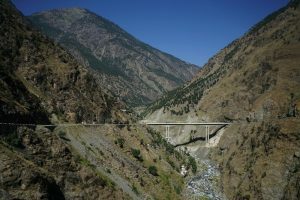 The route of KKH traces one of the many paths of the ancient Silk Road. KKH is often referred to as the Eighth Wonder of the World owing to its high elevation and difficult conditions in which it was constructed. We set off from Besham (elevation: 613m) at 8:15am and soon turned into KKH which takes us all the way to China. 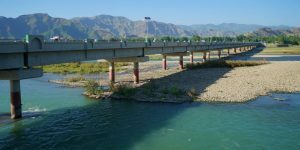 The 2-laned highway follows the Indus River. Part of the road is not in good condition owing to usage by heavy trucks. I notice a Chinese construction company is working on the expansion project that would widen the road from 10 to 30m. 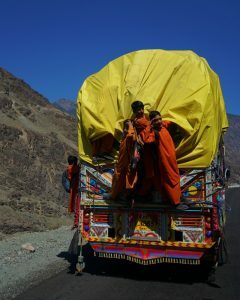 It was our first long driving day on the KKH. We were on the road the whole day. 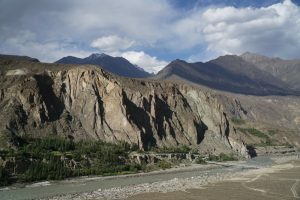 I felt overwhelmed by engulfing mountains on both sides only separated by the Indus River. The awesome landscape took my breath away. We stopped for a quick lunch in Chilas at 3pm. 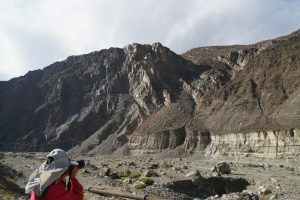 According to information from Wikipedia, there are more than 50,000 pieces of Buddhist rock art (petroglyphs) and inscriptions all along the KKH in Gilgit-Baltistan. They are found in ten major sites between Hunza and Shatial, and the area of Skardu and Shigar. The carvings were left by various invaders, traders and pilgrims. The earliest date back to between 5000 and 1000 BC showing animals, triangular men and hunting scenes. 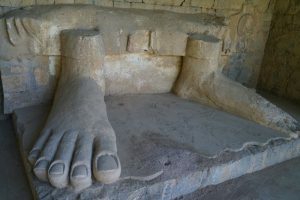 Later carvings were mostly related to Buddhism. 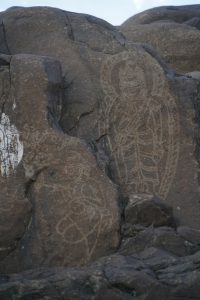 After lunch, we saw a few Chilas rock carvings by the road side. A rock carving of Buddha has gone. But I can tell from the shape of the remaining rock. We could also see a few Buddhist carvings that had been white-washed. 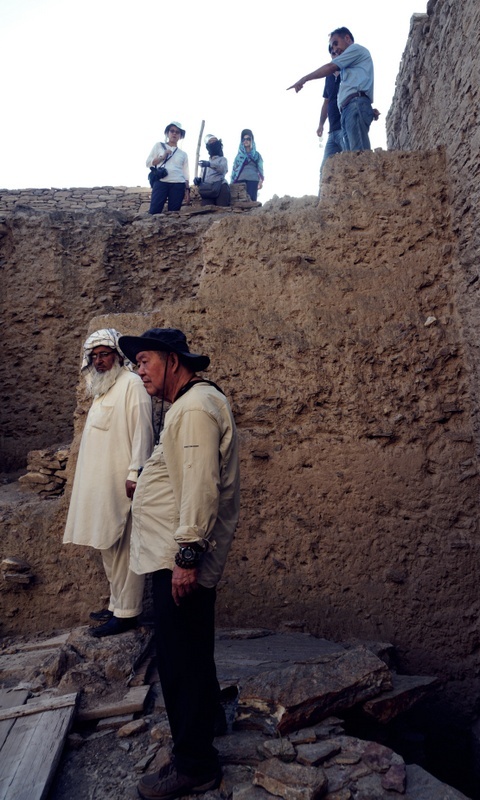 We understand a significant number of Buddha relics had been destroyed by the Taliban. Soon, we made another quick stop to look at a hot spring by road side. It was almost 6 pm when we arrived at the Nanga Parbat viewpoint. The majestic Nanga Parbat standing at 8126m is Pakistan’s second highest peak. The sky had cleared a little and the peak was tinted with faint sunset hues. 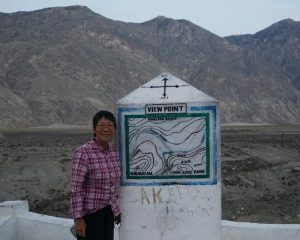 Our guides urged us to move on quickly to see the confluence of the Indus and Gilgit Rivers before it got dark. After driving for ten minutes, we arrived at the viewpoint of the confluence. It was already too dark for a good photo. Anyway, it is great to see how the Karakoram and the Himalayan ranges meet here at the confluence. I could still see the Himalaya east across the Indus and the Karakoram in the North and the Hindu Kush in west of the Gilgit River. On reflection, we should not have stopped and wasted 15 minutes at hot spring so that we could have arrived here earlier. We stayed at the Serena Hotel in Gilgit (1,471m) and had a buffet dinner in the hotel.